The Manage Location tab is where you can edit or merge locations, and add meta data for your location pages. Here you can also divide locations into neighborhoods. Locations are based on the Google Maps API, and the size of cities (towns, suburbs or villages etc depending on the country) can vary greatly from country to country. Your locations need to be therefore always city > region > country, exactly like Google suggests when you add a listing from the frontend. In some countries, cities are divided into smaller sections, for example New York City is divided in the boroughs of Bronx, Manhattan, Brooklyn, Queens and Staten Island. 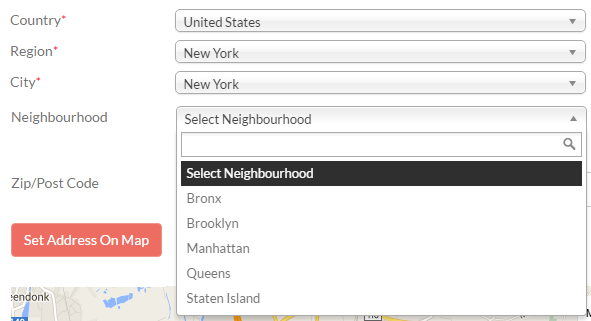 The neighborhoods need to be manually added in the backend, and need to be manually selected by users adding listings. For this example we will add the New York City boroughs as GD neighborhoods. 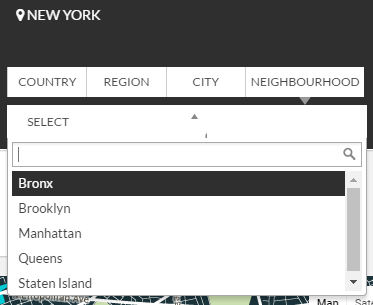 At GD > Multilocations > Manage Location tab, find the city you want to add neighborhoods. As part of your initial GD Core plugin, you should already have a default location set. It is one of the compulsory basic installation steps. Best practice is not to add locations here, because every location will have a page created and you will only end up with empty pages. There might be some occasions when you need to modify a location. For example a location has been added that does not conform to what the Google Map API would have added, and you need to correct the spelling for example. Do not delete locations unless you have no listings in that location; deleting locations will delete all listings in the location! 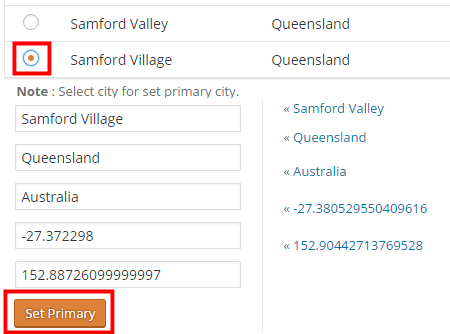 Towards the bottom of the editing page for each location, you will find City Meta and City Description fields. This information is also used for the GD > Location Description widget. 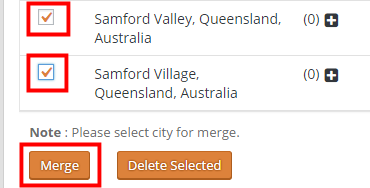 From the Manage Locations tab, select the locations you want to merge. Do not delete a location because that will also delete any listings in that location!